Can Certain Foods Heal a Hernia? A hernia develops when one of your organs bulges through a hole or weak area in a nearby muscle or connective tissue. They can affect your thigh, stomach, groin or surgical scar in your abdomen and may stem from genetic factors, birth defects and conditions and lifestyle habits that place strain on your abdomen, such as a poor diet and inactivity. Although dietary changes aren't known to cure hernias, they may help reduce abdominal strain and prevent complications. Fruits and vegetables provide antioxidants, which support your body's ability to resist and heal from infections and disease, and fiber, which guards against constipation -- a condition that can cause or worsen hernia symptoms. New York University Langone Medical Center recommends limiting acidic foods, such as chocolate and tomato products, to relieve frequent acid reflux and heartburn associated hernias that form in your stomach. Low-acid fruits and vegetables include melons, bananas, guava, papaya, leafy greens, bell peppers, corn, potatoes and carrots. 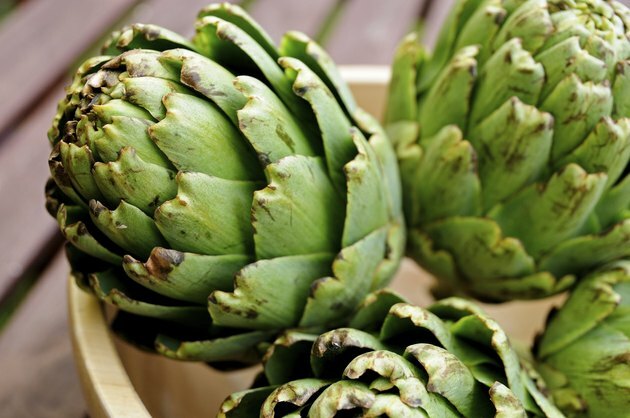 Particularly fiber-rich varieties include raspberries, pears, artichokes, broccoli and peas. 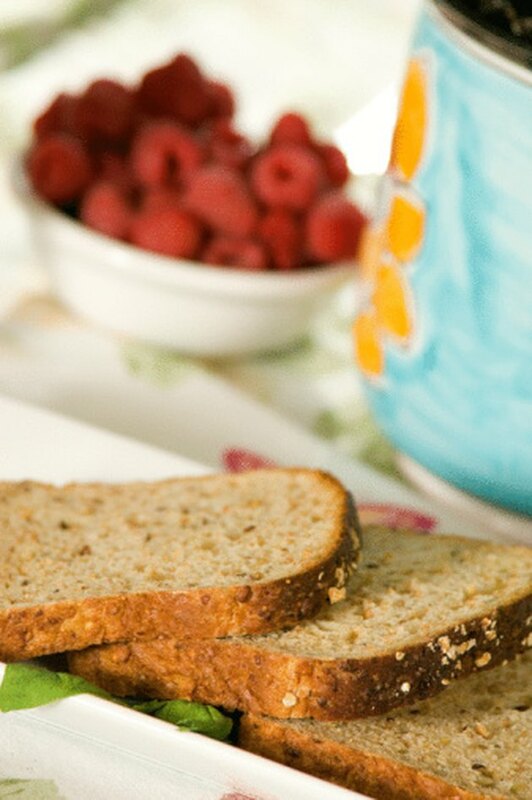 Whole grains provide significantly more fiber and antioxidants than refined grains, such as white flour. 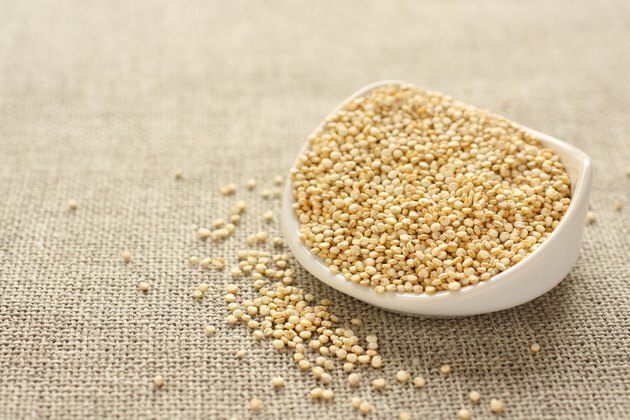 As rich sources of B vitamins and calcium, whole grains may help manage acid reflux and heartburn, according to the University of Maryland Medical Center. Whole grains may also reduce inflammation and enhance weight management, lowering your risk for hernia strain. Nutritious options include oats, barley, brown rice, wild rice, air-popped popcorn and quinoa. When buying breads, cereals and pasta, check product packaging to ensure that whole grains are listed as the main ingredients. For improved acid reflux and heartburn, the UMMC recommends eating fewer red meats and more lean protein sources, such as fish. 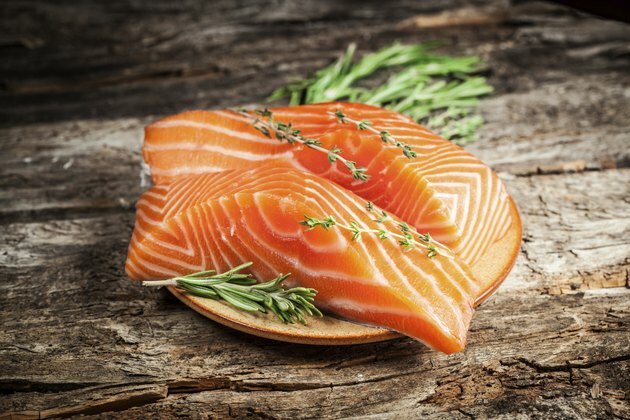 The oil in cold-water fish, such as salmon, mackerel, herring, lake trout, flounder and halibut, is a prime source of omega-3 fatty acids -- healthy fats that may reduce inflammation. Because it is a protein-rich food, incorporating fish into balanced, healthy meals may help keep you fuller longer. For heightened benefits, prepare fish using low-fat cooking methods, such as baking, broiling, poaching and grilling atop a nonstick surface. Or, you can use a cooking spray or olive oil. Legumes contain more fiber per serving than most other foods. One cup of cooked lentils, black beans or split peas provides more than half of women's daily recommended fiber intake and nearly half of most men's. To reduce hernia strain caused by constipation, incorporate beans, lentils and split peas into your meals routinely. Beans are also valuable sources of B vitamins, and they area heart-healthy protein alternatives to fried red and processed meats. 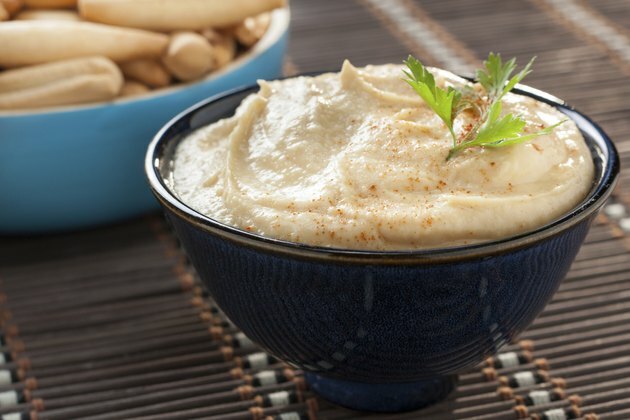 Nutritious legume-based dishes include split pea or lentil soup, steamed soybeans, low-fat vegetarian chili and hummus. What Are the Causes of Mid-Abdominal Pain?